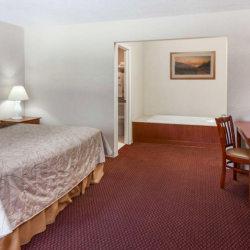 Travelers of a certain generation will remember Howard Johnson for something other than just hotel rooms. The iconic brand—once a hotel and restaurant chain often referred to as “HoJo’s”—was famous for its fried clams and 28 flavors of ice cream…a treasured summer treat. Today, while it no longer offers ice cream, Howard Johnson offers something more important to today’s busy travelers…clean, convenient and affordable hospitality. “The name still gets people’s attention,” states General Manager, Val Groesser. 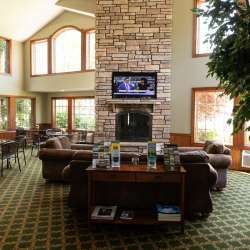 “They like the familiar feel of it here, and really appreciate our focus on quality service and amenities.” Those amenities include a complimentary hot breakfast, an outdoor pool, free Wi-Fi, and parking for over-sized vehicles. Located on Munson Avenue, the property is within walking distance to Easy Bay Park, minutes from downtown Traverse City, and convenient to all that the area has to offer. 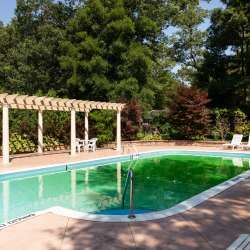 During the summer, families enjoy the affordable comfort and convenience that Howard Johnson by Wyndham provides. Throughout the year, the hotel hosts business travelers, plus a variety of sports teams that come here for soccer, softball, and hockey tournaments, to name a few.